In 2008 completely renovated apartment of approximately 70 m2. The apartment is very nicely maintained, has a neat open kitchen with all appliances, 1 bedroom, luxurious bathroom with bath and walk-in shower and a lovely sunny balcony! Fully equipped with beautiful parquet flooring. Location: located in the very popular neighbourhood zeeheldenkwartier. An area in the center that absolutely has everything to offer and all shops for the daily needs are literally around the corner. Also there are many nice restaurants and terraces. All roads and public transport conveniently located. Layout: entrance with finished entrance. entrance, cozy living room with French doors opening onto the sunny balcony. Open neat kitchen with all appliances. At the front there is a bedroom with closets. 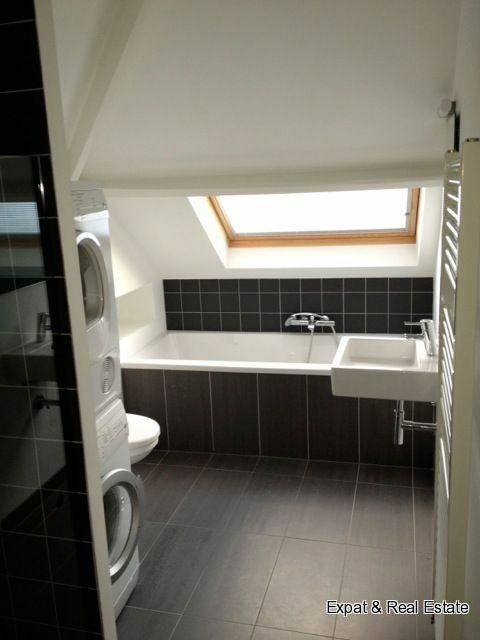 And also the bathroom with bath, walk-in shower, washbasin and a toilet.